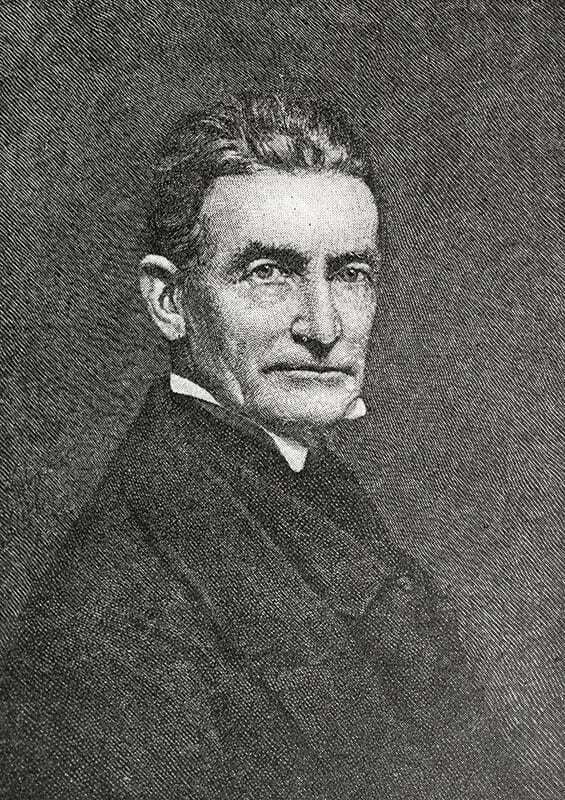 John Brown: American Crisis Biographies. Philadephia: George W. Jacobs, 1909. 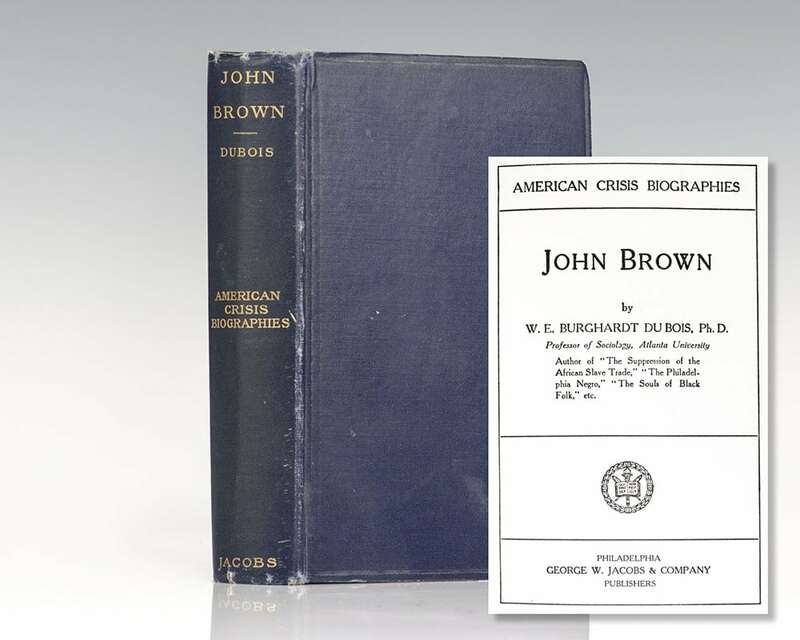 First edition of this scarce biography on Brown, which was printed in a very small run. Octavo, original cloth. In near fine condition. Edited by Ellis Paxton Oberholzer. 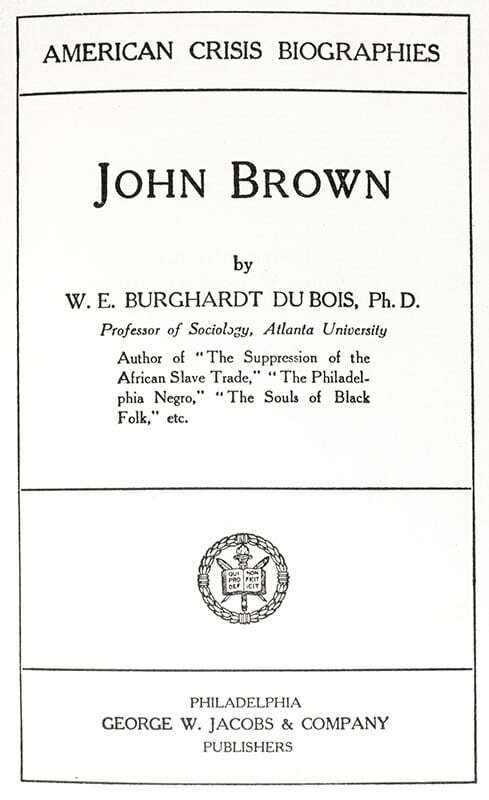 "This set represents an invaluable assembly of the works of the pioneering African American scholar, activist, and creative genius....The introductions to the individual volumes are written by such distinguished scholars as to make those writings indispensable treasures in their own right. Recommended for all public libraries and essential for every academic institution" (Library Journal).